Visit New Ashley Benson’s Fansite! Hello there! 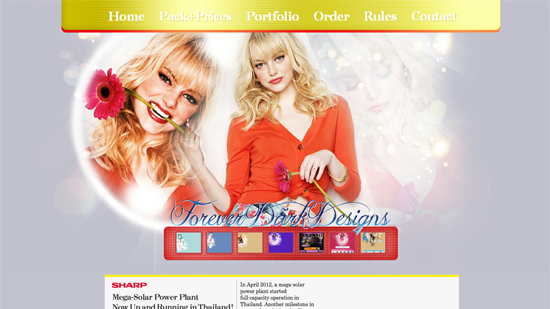 The new Ashley Benson (of “Pretty Little Liars”) fansite is now online! Yes, this is a Brazilian fansite but it’s all in English! Why don’t you enter and maybe if you want to you can apply to be affiliates! Go there and check your newest resource for Ashley Benson on the net! So I am the new owner of Ashley Greene Fan and have got a new site and gallery layout from Forever Dark Designs, and will have updates for every chance I get! Celeb Addiction is your number one celeb and fansite listing. We have the top fansite for your fav celeb listed here and we post all the news and updates, so come on over! MeganFoxWorld.net staff are glad to introduce the brand new summer design. We are the best Russian website about Megan Fox since 2009. Hope you’ll like this! Visit us and leave your comments in chatbox! So to celebrate 1 month online, I made this great new theme for the site and one for my portfolio, so come and take a look and don’t forget 20% off for Flaunt Network’s hostees! Welcome To Jessica Sanchez Fan! Hello, Rencel here! Welcome to JessicaSanchezFan.org, the lLargest and the most up-to-date website for the amazing young actress, Jessica Sanchez. We aim to provide Jessica’s fans with all the latest news and so much more! Feel free to browse around the site and thanks for staying by. Hope you’ll come back so soon! 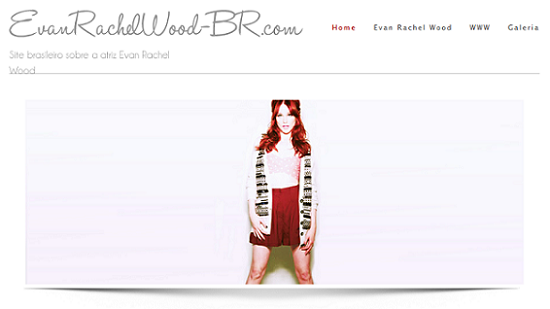 Check out the new layout version 3.0 of the brazilian website about the actress Evan Rachel Wood. Confiram o novo layout versão 3.0 do site brasileiro dedicado a atriz Evan Rachel Wood. So I am now hosted with Flaunt Network and the domain has changed to .net. All Flaunt Network’s hostees will receive a 20% discount off the multiple fansite package deluxe and wordpress themes. This offer ends on July 1st, so hurry. Discount code: Flaunt. Charlize Theron Daily Is Now Open! Charlize Theron Daily is your number one source for the beautiful and talented actress Charlize Theron, so come on over and take a look and don’t forget to follow us on Twitter for all the latest news on Charlize first! Deschanel Daily, your number one source for Emily and Zooey Deschanel is now open, so take a look!